The new silicone Phone Wallet is made of stainless steel and silica gel, with 1 mirrors on the back, allowing you to clean your appearance at any time. The size is 3 3/8 "L x 2 3/16"W. The back of the purse is put on 3M sticker to save your card and spare cash. 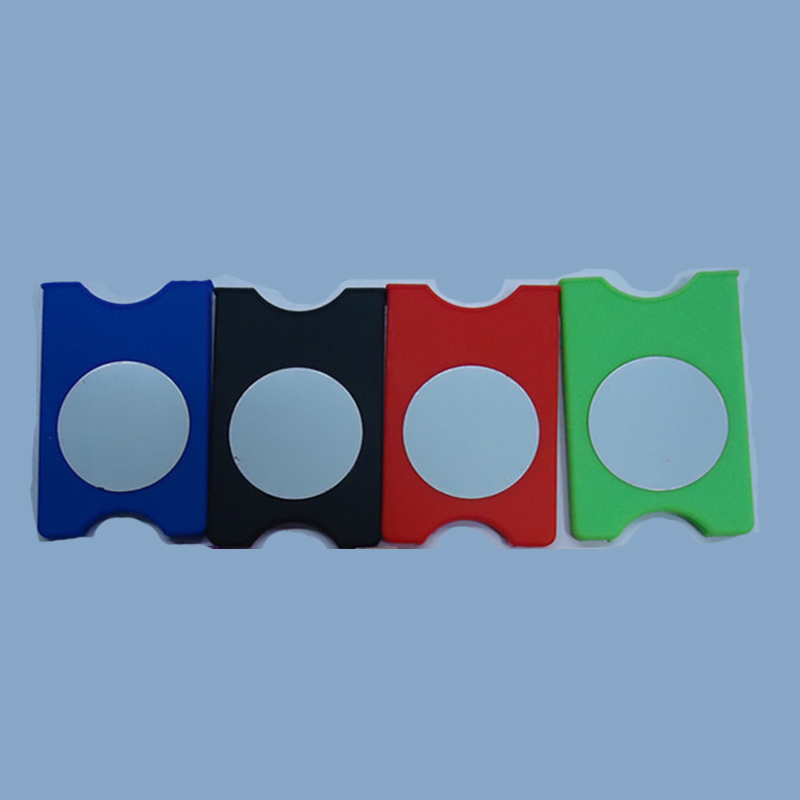 It can connect to the back of most mobile phones and hold 2-3 business or credit cards. The price includes a color, a location screen printing.